Mr. C.T. Kearton, senior circuit steward of the Whitehaven circuit, is a Primitive Methodist of the third generation and hails from Brough. He has been connected with our church at Cleator Moor about fifteen years. For thirteen years he served as choirmaster. He has been a member of the District Committee for many years, and has had the honour of representing his circuit in the District Meeting. The District Committee at its last meeting honoured him by appointing him to represent one of the committees in the coming District Meeting at Cockermouth. He is at present society steward, which office together with his circuit stewardship he fills with great ability. He is also a member of the Urban District Council. He and his family are most loyal Primitive Methodists and among our best workers. We wish for Mr. Kearton and family the best of health and many years of service for the Master. Christopher was born in 1859 to parents Ralph Kearton and Alice Bainbridge at Brough, Westmorland. Ralph was an overman at an iron ore mine (1881). 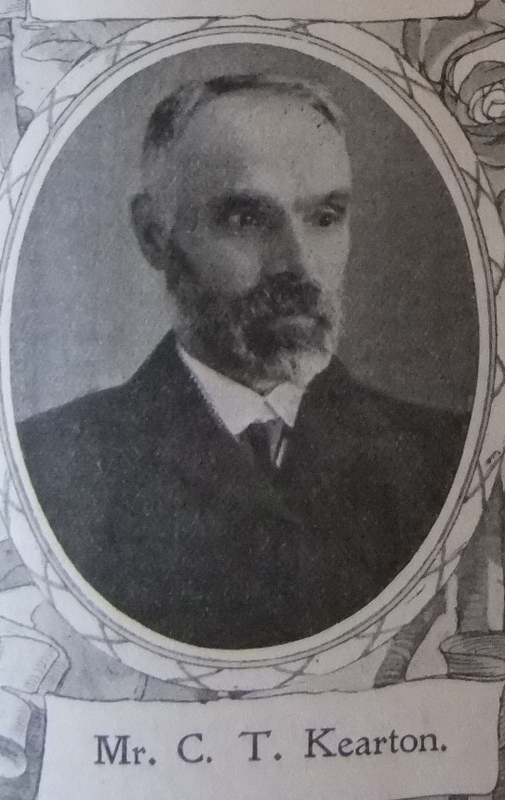 Christopher began work as a coal miner and by the time of the 1891 census he was a colliery manager. An 1894 directory identifies him as colliery manager to John Stirling esq. The 1901 census describes Christopher as a mining engineer. Christopher and his family emigrated to New Zealand in 1909 leaving London on 25 November. In New Zealand Christopher became a farmer. Christopher married Sarah Dawson (1860-1939) in the summer of 1888 at Kirky Stephen, Westmorland. Census returns and birth records identify four children. Christopher died on 18 April 1936 at Christchurch, Canterbury, New Zealand.